…also known as: how to knock their socks off. 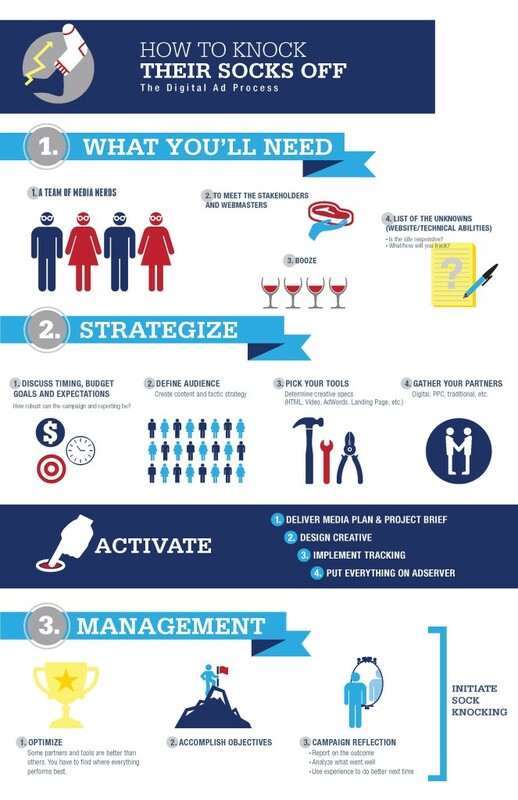 Nice infographic – tells a great story and plan! Even though these infographics are very tongue in cheek, the message rings true. I especially like the image of the steak for stakeholders, the suggestion that you need booze and the idea that all it takes to launch a digital campaign is the push of a button. Very witty. A View From the Robin's Nest, Proudly powered by WordPress.